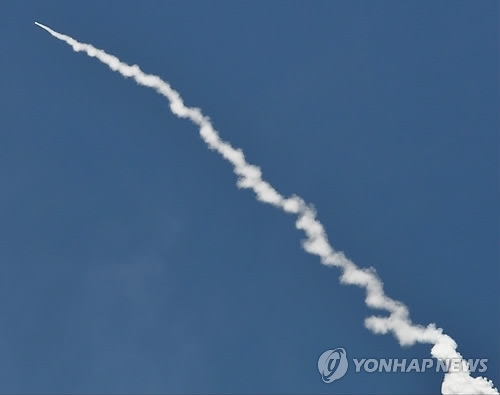 SEOUL, June 3 (Yonhap) -- North Korea on Saturday condemned the United States' successful shoot down of an intercontinental ballistic missile target earlier this week, saying its nuclear weapons won't be intercepted. A spokesman for North Korea's Strategic Force told Pyongyang's official Korea Central News Agency (KCNA) that Tuesday's simulated interception of an ICBM from the North at an air base in California is just a serious military provocation by the U.S. The spokesman contended that Americans are mistaken if they think such a missile interception system can prevent the shower of a nuclear strike by the Strategic Force. "Such a risky act is a sign that their (U.S.) preparations for unleashing a nuclear war against the DPRK have reached the final phase," the spokesman was quoted by KCNA as saying in English. DPRK is the initials of the North's official name, the Democratic People’s Republic of Korea. "Their foolhardy moves go to clearly prove that the DPRK's step for bolstering the nuclear force for self-defense is entirely just." Pyongyang's response came after the Pentagon carried out the interceptor test over the Pacific Ocean on May 30, in which an ICBM-class target was fired from a site in the Marshall Islands and a ground-based interceptor was launched from Vandenberg Air Force Base, California, to intercept and destroy the target. 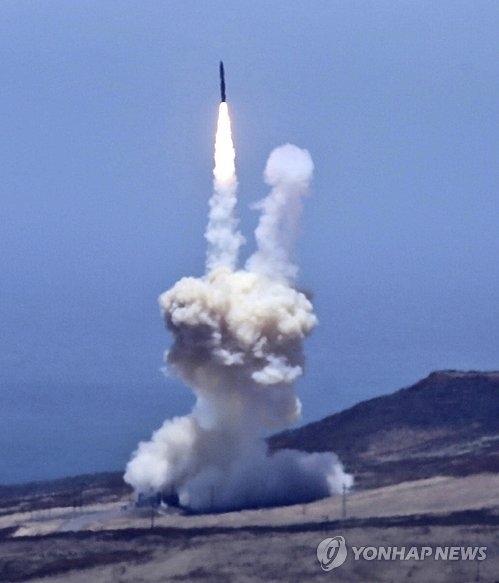 It was the first live-fire test against an ICBM-class target for the U.S. ballistic missile defense system. The test came after a series of successful missile tests by North Korea that demonstrated steady progress in its pursuit of various types of missiles, including a nuclear-tipped ICBM capable of reaching the U.S.
"They (U.S.) are now bluffing, bragging about the 'success' in the test and the efficiency of the missile interception system. But the DPRK considers it just a foolish act of those driven to despair," the North's spokesman went on to say." "They are sadly mistaken if they think such missile interception system can prevent the shower of nuclear strike by the Strategic Force of the KPA. The last-ditch gambling of the Trump administration for a nuclear war will only bring earlier the day when the U.S. mainland will turn into ashes."